Since the Inaugural of Kandi Beach Party nearly a decade ago, We have become the biggest weekly event in the Mediterranean. Consecutively selling out and providing a top class entertainment and being the number 1 event for the holiday-makers. This summer Kandi begins a new chapter by rebranding as Kandi Fest and moving to a brand new open air venue called ‘The Dock’ right next to Waterworld Waterpark. The brand new state of the art seaview venue with a bigger stage and VIP booths has been set up with the best soundsystem on the island. 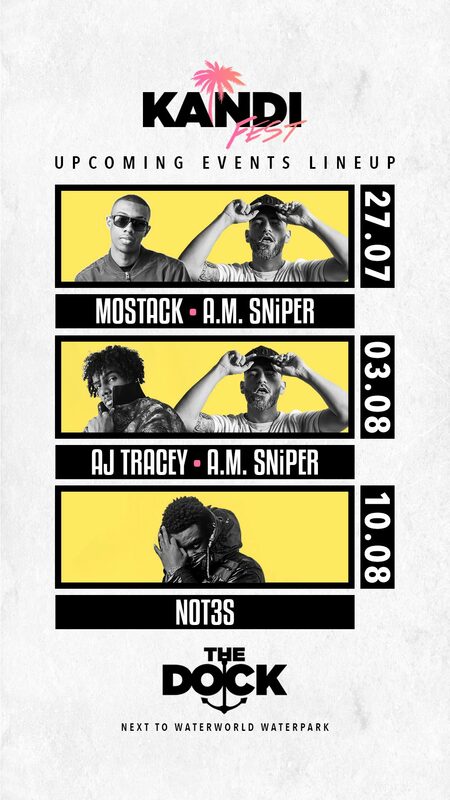 We have an unyielding commitment to providing only the best entertainment, We have also confirmed our biggest line up to date this summer with some of the best acts and djs out of the UK and US. Kandi Fest will now be held exclusively at the biggest open air venue in the mediterenean with over 5000 capacity and also featuring the resorts finest food and snacks court. 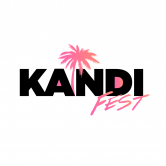 Kandi Fest 2018 is set to celebrate its biggest and most exciting production to date to give our audience the best platform to celebrate music all night and builds a vibrant atmosphere to make your holiday one to remember. A complete package with an open bar policy with no restrictions, where everyone can choose what and how much to drink and nothing comes at an extra cost. A complimentary t shirt is given at the start of every event. The entertainment provided on Kandi Fest is unrivaled, guaranteed by an array of International acts just to name a few artists that have already been on our previous parties: Tinie Tempah, Skepta, Chase & Status, J Hus, Krept & Konan, Wretch 32, Wiley, Lethal B, AM Sniper, Dappy, Giggs, Fuse ODG, Tim Westwood, Jme, Cameo, Ms Dynamite, Tempa T, Masterace, Dadge, Ibz, Scottie B, Crazy Couzins, Charlie Sloth, Oxide & Neutrino, Troopa, Mystery J, Gracious K, etc. with our lovely host MC Dadge & Mc Ibz. The meeting point for all ticket holders is the parking of WaterWorld Waterpark at 6PM. After making sure that every ticket holder is at the meeting point, you get a wristband which gives you access to all the venues planned for the night. The party starts immediately and it last around 3 and a half hours. When the party is banging, during this time we hold an open bar policy with no restrictions, drinks include Vodka, Tequila, Gin, Brandy, Whiskey, Sambuka, Lagers, etc. Anyone can choose whatever they wish to drink and nothing comes at an extra cost! The party continues after the main event at the prestigious Club Ice, Ayia Napa’s prime urban venue, entrance to this club is complimentary with your Kandi Fest ticket, as well as an after party club till 7 in the morning! In few words, if you are in Ayia Napa on Friday, Kandi Fest is undoubtedly the package for you, where you enjoy your beach party, open bar, club event, after party and complimentary t-shirt. Dont miss Kandi Fest. Reserve your tickets online. Upcoming Kandi Fest Events! Also included in your Club100MegaDeal.com Events Package.